PAOLI, Pa. (August 28th, 2018) – ExtremeTerrain has been an online retailer of 1987+ Jeep Wrangler parts since its 2014 inception. This changes today, as the ecommerce auto parts shop officially announces the addition of 2005+ Toyota Tacoma parts to XT’s store. With the announcement comes XT’s first-ever Tacoma-themed giveaway. The “Transform Your Tacoma Giveaway” officially starts August 23, 2018, where potential entrants can submit daily for their chance to win a $5,000 Tacoma parts shopping spree from XT’s catalog. Have you ever wondered about being a Trail Leader? 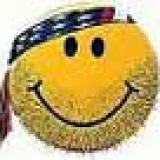 Ever imagined yourself guiding a group of four-wheelers down historic trails and through scenic landscapes? Most likely a lack of confidence. Understandable. Leading a group of four-wheelers is quite a bit different from being just another participant. Even the best-planned excursion experiences a hiccup or two. Heaven knows I’ve seen a bunch in my time. By making and overcoming mistakes you learn and grow. We constantly stress the need for preparation before a 4WD trip. Even so, something is bound to come up. PAOLI, Pa. (August 14th, 2018) – ExtremeTerrain’s monthly Throttle Out YouTube series, hosted by Ryan Huck, focuses on a variety of emerging topics in the Jeep and off-roading realm. In this month’s episode, Ryan shows off the first 5 mods you need for your 2018 JL Wrangler. PAOLI, Pa. (August 30th, 2018) – Exclusive to Extreme Terrain, Deegan 38 Jeep Wrangler parts for 2007-2018 JK Wranglers and 2018 JL Wranglers are derived from an exciting partnership with freestyle motocross and off-road racing legend Brian Deegan. 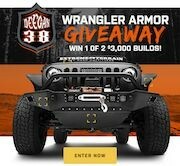 With this exciting new partnership, comes an exciting new Wrangler parts giveaway appropriately titled: “Deegan 38 Wrangler Armor Giveaway”. 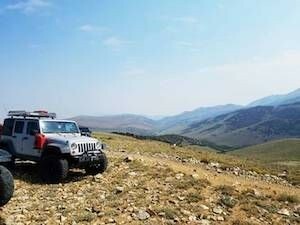 Today, Majority Leader Kevin McCarthy, Congressman Paul Cook, and House Natural Resources Committee Federal Lands Subcommittee Chairman Tom McClintock authored and signed onto a letter to the U.S. Bureau of Land Management (BLM) Acting Director Brian Steed requesting new policy and guidelines for BLM state and field offices to implement Independent Monitoring Programs (IMP) at competitive off-highway vehicle (OHV) events on Federal land to avoid triggering Cost Recovery. “In California, we are blessed to have access to some of the most awe-inspiring public lands on the planet and many communities, such as those in eastern Kern County, rely on access to public lands for OHV tourism and recreation.